Here are a list of the choirs who are in the Norfolk Community Choirs Network. The list is expanding all the time so keep checking in to see if there’s a choir near you. The Big Heart & Soul Choir was established in 1997 rehearsing all this time in the great singing acoustic of Castle Acre Village Hall. Singers consist of a friendly core group of founder members along with many others who continue to join so that the group general numbers around forty to fifty people all singing for the pleasure it brings. The choir usually gives two concerts a a year, one just before Christmas and one before the summer. 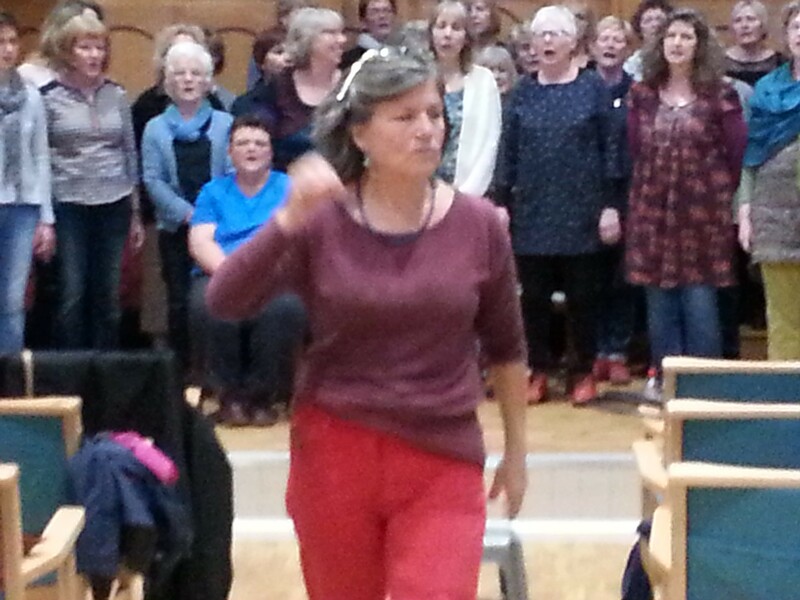 Musical directors include Linda Roast, Jane Wells and Noralf Mork who all bring much to the choir: teaching, rehearsing, conducting, arranging, singing technique skills and all of this often accompanied by the piano. All songs are taught by ear so there is no need to read music and include African, Bulgarian, Georgian, Norwegian, English Folk, Jazz and Pop. Above all, the emphasis is on the enjoyment of singing. We will be celebrating our 10th year in September. We have two homes – during spring and summer we are at The Gallow at Fakenham Racecourse, and then we move to Fakenham Cricket Club for the autumn and winter months. It’s worth joining the choir for the lovely view over the racecourse. We learn a very wide range of song types, from rounds and chants to classical and pop. At the moment we are all female, but we’d definitely welcome some male voices as well. Sue Lane is our musical director and she can be contacted on susan.lane4@btinternet.com or 0788 4066490. 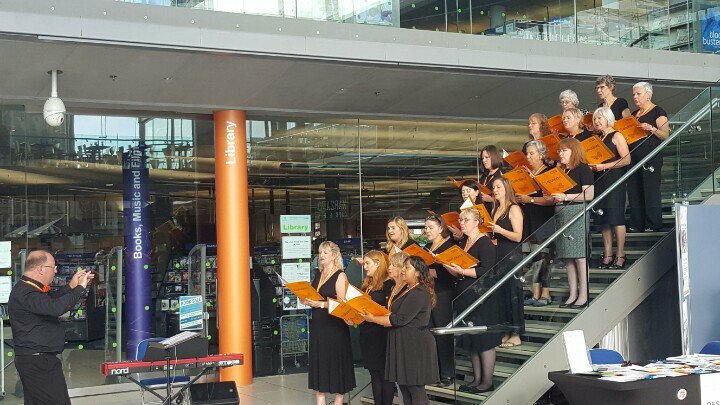 Norwich Community Choir was formed to promote, through singing, a sense of well being and a feeling of belonging to the community. It began in November 2008, started by Meg Turpin who has lived and worked as a teacher in the area for over 20 years. She is a member of the Natural Voice Practitioners. People come to our choir simply because they love singing, there is no other prerequisite. There are no auditions and you don’t need to read music. If you think you can’t sing you probably can when surrounded by friends. If you want a polished choir this is not for you but if you want to have fun and create a beautiful sound then come along. We welcome everyone. The first two sessions are free. No audition needed. We sing music from around the world including gospel, spirituals, contemporary, sacred and secular. 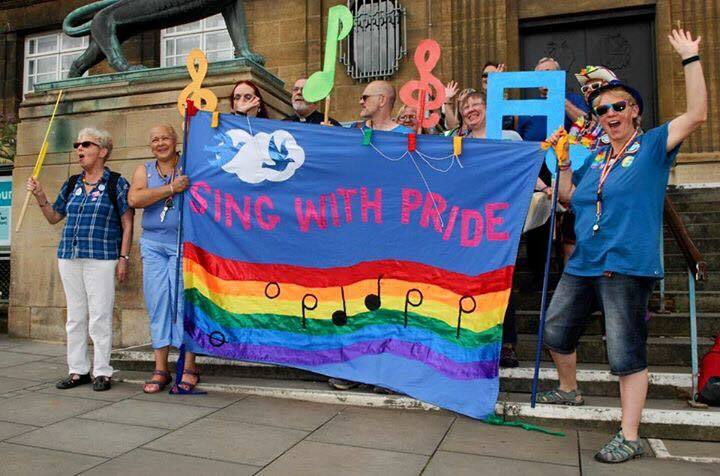 We are Singers Inspired, Downham Market’s Community Choir. 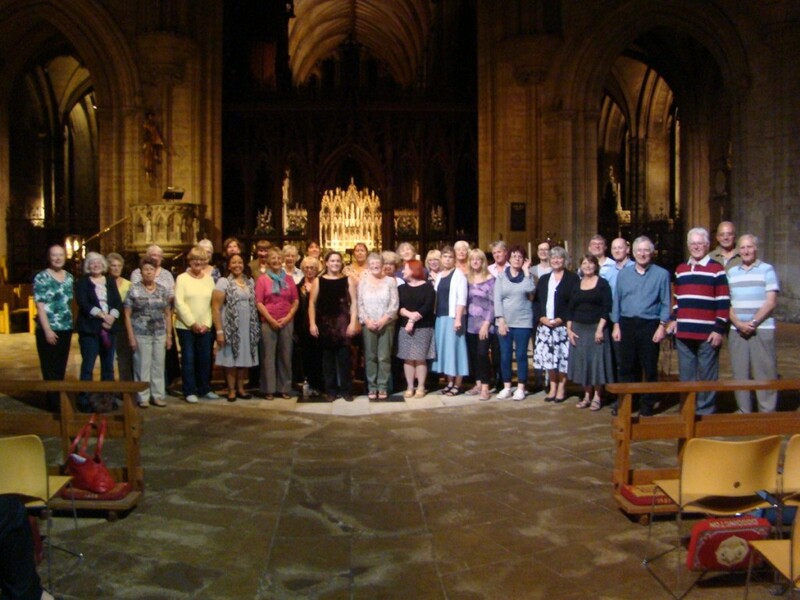 We’re a non-religious choral group who welcome membership from all members of the community. Enjoy Music? Looking for a great way to relax after a long day? Always wanted to sing but no idea where to begin. We may well have the answer! We sing all kinds of music from all kinds of musical traditions from around the world. We don’t expect you to read music and you won’t be asked to take an audition. What could be simpler? We meet every Thursday evening from 7.30 pm to 9.30pm, during school term at the Methodist Church Function Room in Paradise Road. Subscriptions are reasonably prices and concessions are available. Why not come along and give it a try – see if you like it – your first two sessions are free and we’re a warm and friendly bunch of people… no, really! We arrive at Tittleshall Village Hall every Wednesday evening with only one thing in mind – Wendy’s cake and a cup of tea. It just so happens that we like to sing for the rest of the time. A happy concidence? Oh yes! Contact Sue Lane on 0788 4066490 or susan.lane4@btinternet.com, or find us on Facebook. 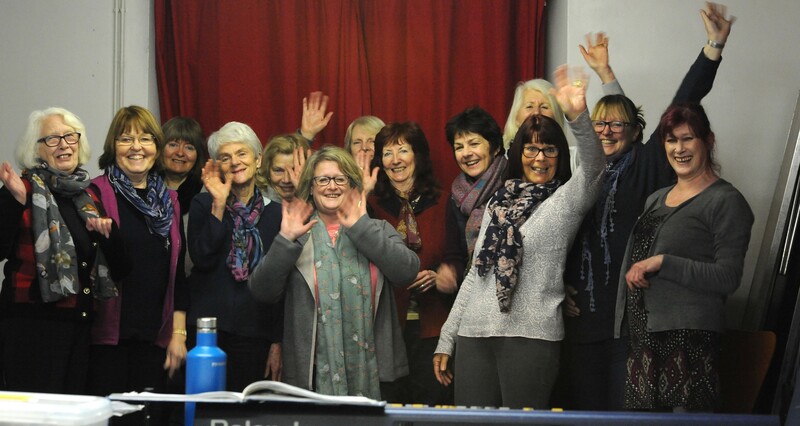 Established in February 2009, Trinity Broads Singers have blossomed into a dynamic choir, about 30-strong. We meet on Monday evenings, 7.30 to 9.30 at Repps with Bastwick Village Hall. We sing an exciting repertoire of songs from around the world, and perform at least twice a year. 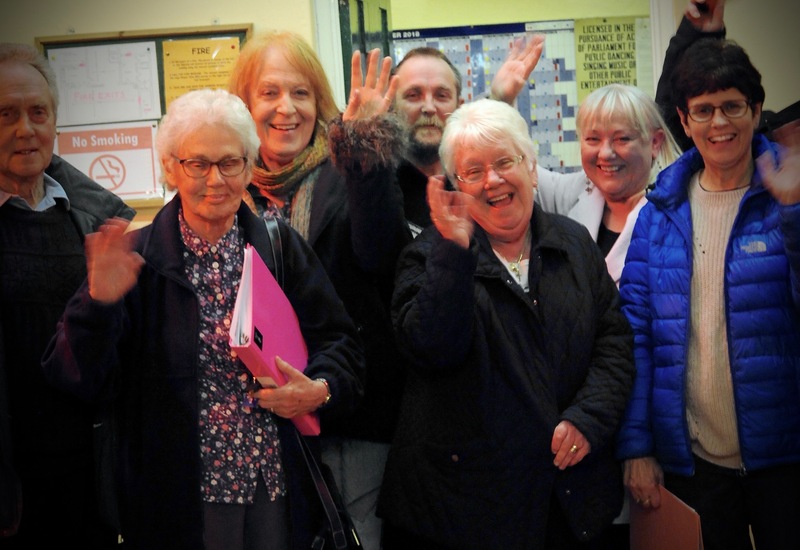 We’re a friendly community choir based in Blofield and we welcome new members. 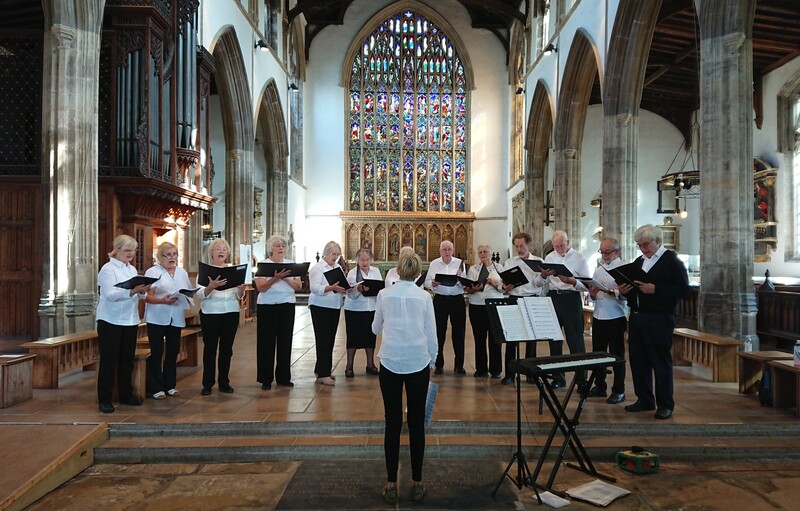 We sing a range of styles; African, folk, gospel, pop and shape note are all on the menu.Why not give us a try – first session free – we sing most Wednesday evenings. For more details do have a look at our website.